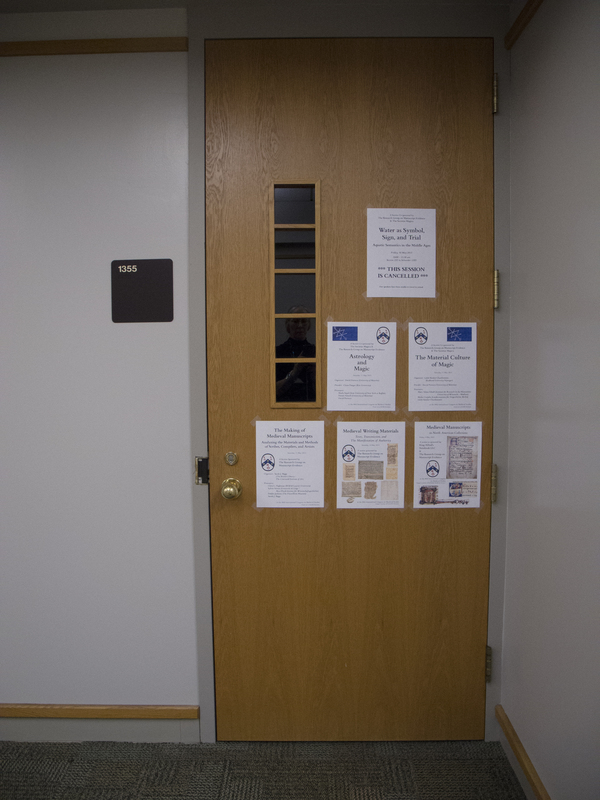 This review celebrates research by and partly by Trustees and Associates of the Research Group on Manuscript Evidence (RGME) by showcasing some recent publications in print and online. The title alludes to the widespread medieval genre of florilegia (“gatherings of flowers”), which collect selected extracts of texts from a larger body or bodies of work. 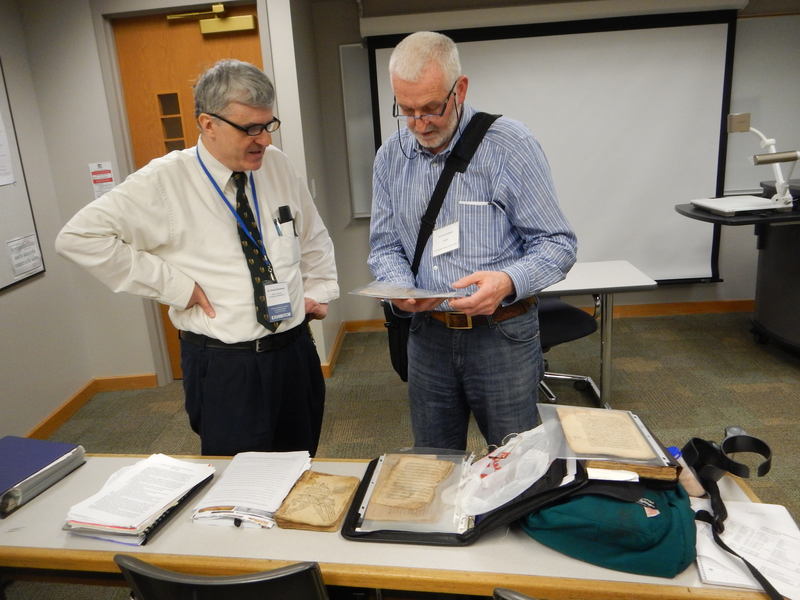 Such compilations, also called “Commonplace Books” or “Miscellanies” — whether deliberate, haphazard, or serendipitous in their assembly — have figured in various RGME workshops and publications, and continue to offer challenges for examination. The title also takes inspiration from the term bouquet in mathematics, wherein, according to some definitions, a “rose”, also known as a “bouquet of n circles”, yields a “topological space” by “gluing” together a collection of circles (which might take various shapes such as loops) along a single point (Bouquet of circles). The mathematical term ‘Rose’ is defined at Wolfram MathWorld. Figural examples appear here: Bouquet of n circles via Tikz. The group of flowering works selected here represent a sampling of our collective and individual interests, which converge and overlap to various extents. [originally II: Theory and Practice, now here] (June 26th, 2013). The fourteen papers in the Patronage volume consider diverse materials, regions, dynamics of creation/commission, patterns of patronage, and issues of interpretation. Cases poised upon textual evidence — occurring in manuscript, documentary, and monumental forms — are plentiful. They include Elizabeth Carson Pastan’s nuanced assessment of “The Bayeux Embroidery [not a Tapestry!] & Its Interpretative History” particularly within the sphere of its original creators and audience; Nigel Morgan’s reading of “Patrons & Their Scrolls in Fifteenth-Century English Art” through text- or speech-scrolls in manuscripts, stained glass windows, and monumental brasses; Lucy Freeman Sandler’s sensitive assessment of “The Bohun Women & Manuscript Patronage in Fourteenth-Century England”, as revealed through the stages of “commissioning, conceiving, executing, receiving, and bequeathing”, and our Trustee Adelaide Bennett’s reconsideration of “Issues of Female Patronage: French Books of Hours, 1220–1320”, with an instructive analysis of the traces of women’s reading habits and instruction. The ensemble offers a series of explorations into both charted and hitherto uncharted waters in the vast ocean of medieval materials which came into being through the aid, impediments, guidance, inspiration, and vision of patronage in many forms. Among the multiple worthy subjects considered in the two e-volumes of The Digital World of Art History (with twenty-two papers), several are firmly central to RGME research activities. 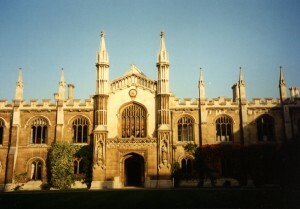 For example, jointly Maria Oldal, Elizabeth O’Keefe, and William Voelkle (Volume I, chapter 4 = I.4) present a guide to the Corsair database of the Pierpont Morgan Library, which freely provides “unified access to over 250,000 records for medieval and Renaissance manuscripts, rare and reference books, literary and historical manuscripts, music scores, ancient seals and tablets, drawings, prints, and other art objects”. Gretchen Wagner offers a trenchant survey of the challenges and possible solutions facing the issues of “Copyright and Scholarship in the Arts” (I.5) in a fast-changing world. In “The ‘Art’ of Digital Art History” (II.7), focusing upon her experiences in assembling a major report on Transitioning to a Digital World for the Kress Foundation, Diane Zorich reflects as a consultant on the nature and potential of digital strategies and issues involving cultural heritage in cultural and educational institutions, principally major museums. Members of the Staff of the Index of Christian Art – Judith Golden, Jessica Savage, our Associate Henry Schilb, Beatrice Raddan Keefe, and Jon Niola – contribute reports (in I.10–14) of its iconographic and bibliographic work, its collaborative projects accomplished or in preparation, and its other resources. Kandice Rawlings (II.4) describes the varied history and development of the Oxford Art Online encyclopedia — available through subscription — about anything and everything connected with art, also said to provide “access to the most authoritative, inclusive, and easily searchable online art resources available today”. As a contributor to the original printed form, that is, the Grove Dictionary of Art (1996), I find the story of this enterprise instructive as a vigorous case of transfer from an earlier age of publication, in book form, to the present internet industry of cumulative and composite forces able and willing to overtake, update, expand, and gain, while offering valuable research resources to privileged subscribers. Anglo-Saxon double-sided seal-matrix of the thegn Godwin (front) and the nun Godgytha (back), made of walrus-ivory in the first half of the 11th century C.E. 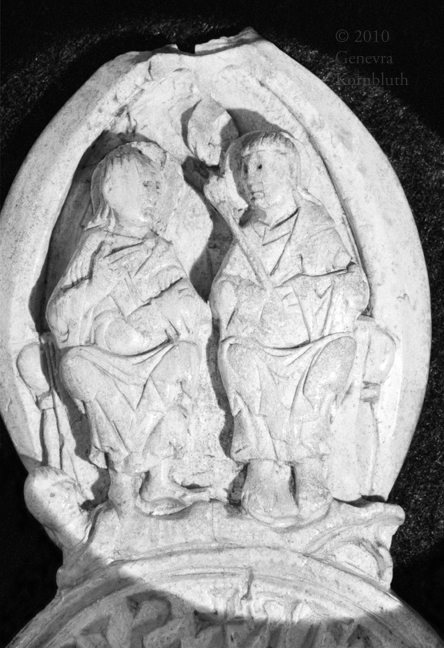 The front of the handle depicts the Trinity resting upon a prone human figure. 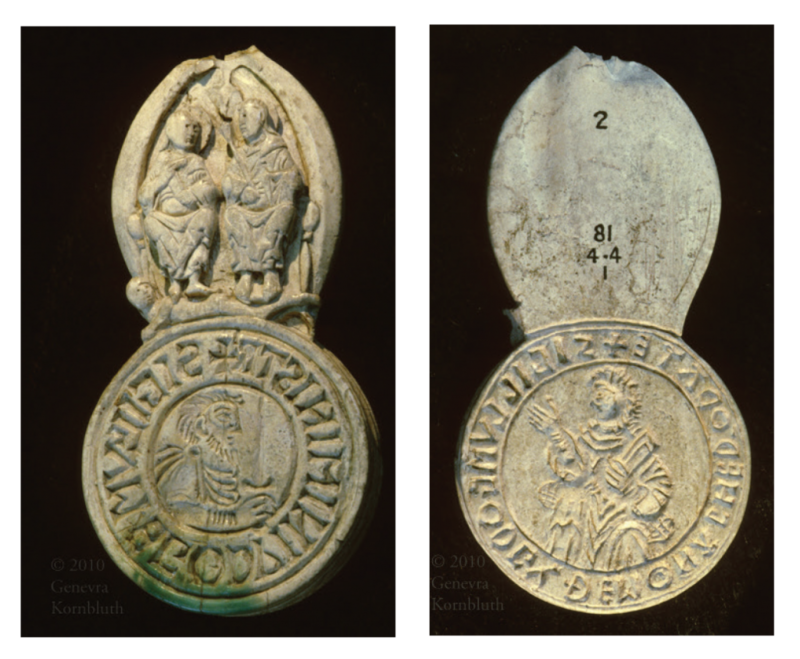 The coin-like roundels on obverse and reverse depict the part-length male and female figures identified by Latin inscriptions, ready for sealing wax. Photographs © Genevra Kornbluth, reproduced by permission. A detail appears here, with more information here. Original: London, British Museum, M&ME 1881,4-4,1. The report by our Associate Genevra Kornbluth on “Kornbluth Photography: From Private Research to Private Archive” (II.4) describes the creation, many years in the making, of her expert photographic archive, now available, with honorable copyright conditions, on her website. 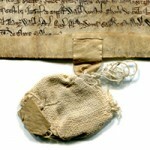 Its “Historical Archive” gathers images of objects or monuments arranged by multiple indexes (culture/period, chronology, iconography, medium, object type, location, and artist), including text-based works such as manuscripts, charters, seals and matrices, relic labels, book covers, and inscriptions. I first met Genevra years ago, when she was conducting research for her Ph.D. dissertation, published as Engraved Gems of the Carolingian Empire (Penn State University Press, 1995, ISBN 978-0-271-01426-5), and I have followed the progress of her work with care, so that I have long been aware of the beauty of her detailed photographs of carved rock-crystal gemstones and many other objects of complexity. Like her, I have devoted much time to photographing original source materials — in my case mostly manuscripts and other written works — not only for my own study, but also for that of others, already in the age before digital methods paved the way for widespread access, now at least on screen and often in high-definition. As a practitioner, I can attest that the active photographic process (not only as product) of close study of the works themselves – including manuscripts and other written works – might reveal features otherwise unsuspected. 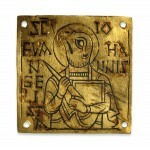 For the gems, the microscopic traces of carving methods, with tools of distinctly differing points, allowed Genevra to distinguish between Byzantine and Carolingian works, in a valuable contribution to knowledge of their identifying characteristics, with photographs recording the features for all to see. While Genevra’s contribution to the Index volume freely provides a sampling of her photographs we may illustrate other examples from her website here, generously with her permission. Thus it can be possible to look through, as it were, the eyes of the expert examining the sources directly and closely. 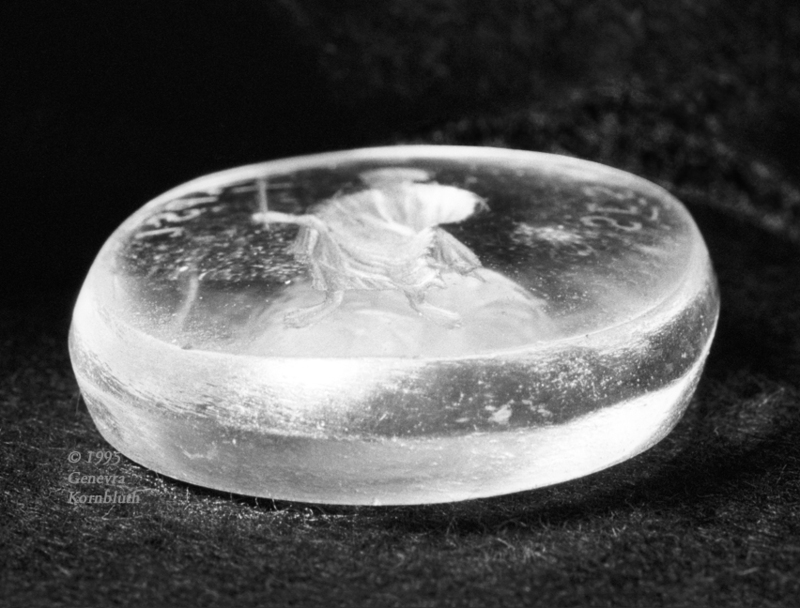 Rock crystal (quartz stone) intaglio, mid-to-late 9th century, seen from the smooth front and the engraved, incised back of the stone. 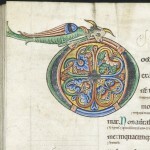 The upright, cross-bearing “St. 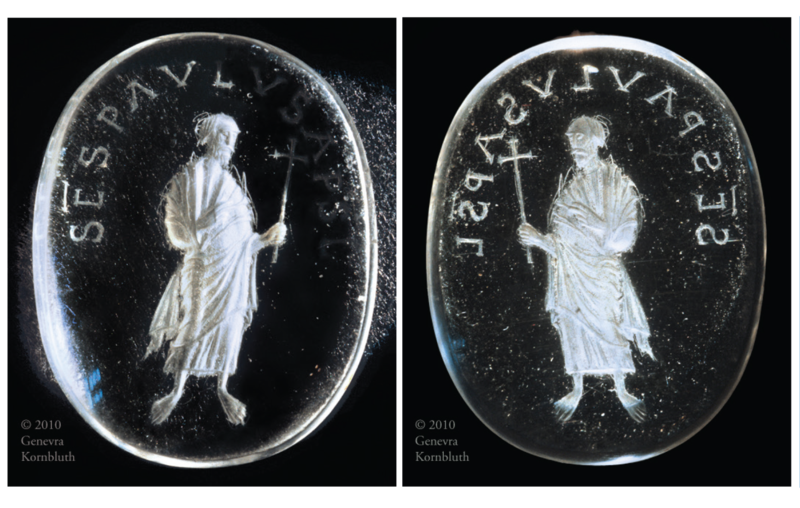 Paul the Apostle”, is identified by Latin inscription. Photographs © Genevra Kornbluth, reproduced by permission. An oblique view appears here. Original: Paris, Bibliothèque Nationale de France, Cabinet des Médailles, H3416. Now, to the bouquet I respectfully add the final publications by our RGME Associate Malcolm B. Parkes, who died in 2013 at the age of eighty-three. A memorial by our Trustee David Ganz appears here: Malcolm B. Parkes., Palaeographer (1930‒2013. A collection of Malcolm’s essays in 2012 (complementing an earlier collection in 1991) has now followed the printed version in 2008 of his Lyell Lectures. 3) M. B. Parkes, Their Hands Before Our Eyes: A Closer Look at Scribes. The Lyell Lectures Delivered in the University of Oxford, 1999 (Ashgate Publishing, 2008, [formerly “http://www.ashgate.com/isbn/9780754663379” but now] ISBN 978-0-7546-6337-9). 4) M. B. Parkes, Pages from the Past: Medieval Writing Skills and Manuscript Books, edited by P. R. Robinson and Rivkah Zim (Ashgate Publishing, 2012, [formerly “http://www.ashgate.com/isbn/9781409438069” but now ISBN 978-1-4094-3806-9). These works record and preserve multiple fundamental, often ground-breaking, insights into the nature of scripts in relation to the process of writing, the minds at work, and the voices of the languages, authors, and speakers which the scripts transmit. 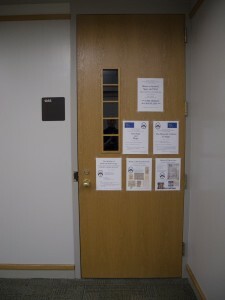 The plates offer examples for study and instruction. We are grateful for their presence, while we lament the passing of their author, a kind friend and teacher. This requirement calls forth the wistful reflection that some florilegia transmitted from the past may represent cherished recollections of previous living voices and vivid moments of instruction — of which only parts of the originally full representations may yet endure, both in memory and in “print”. We treasure these traces. For the next issues of the Newsletter, the RGME invites suggestions and donations for books to review. 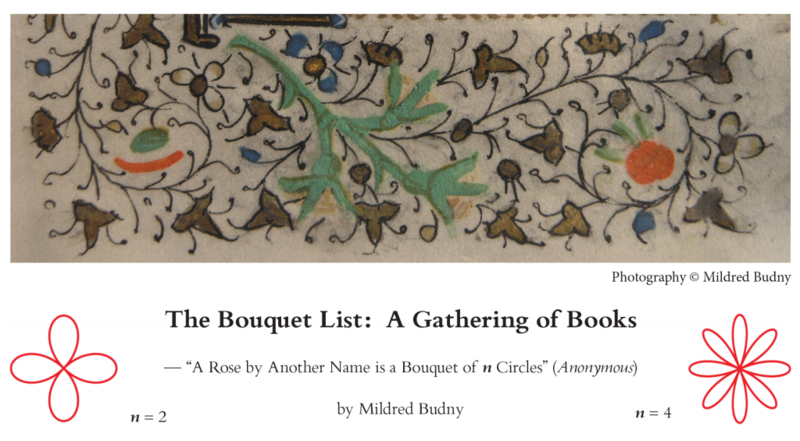 While this first “Bouquet” centers upon publications by, or with contributions by, contributors to the Research Group on Manuscript Evidence, we welcome works by others too. 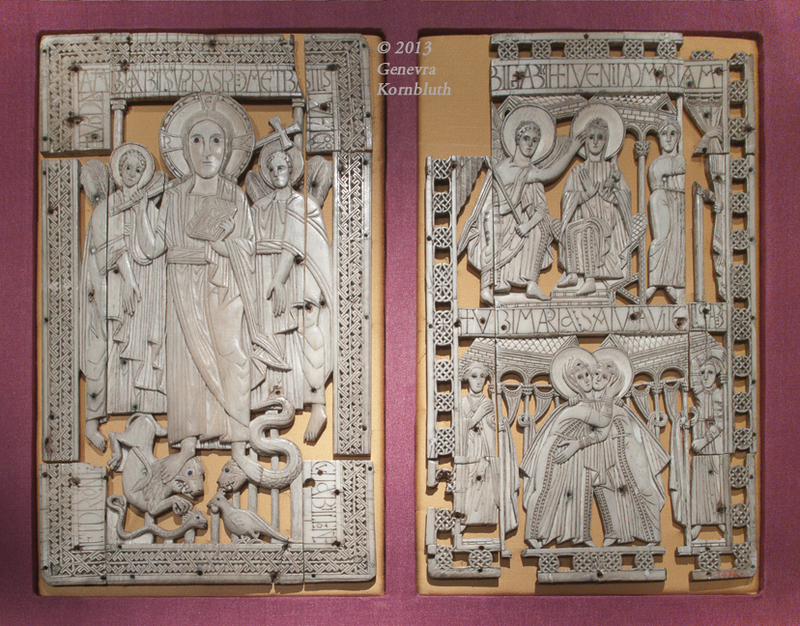 Genoels–Elderen openwork ivory diptych made circa 800 C.E. — perhaps formerly the paired covers for a sacred book or a writing tablet. Framed within geometric and interlace borders and accompanied by Latin inscriptions, the cross-bearing Christ, flanked by angels, stands upon the Beasts (with Bird in the form of Rooster), while His mother Mary experiences both the Annunciation with Gabriel and the Visitation with Elizabeth, all with attendants. Photograph © Genevra Kornbluth, reproduced by permission. More views and details here: Genoels Elderen. Original: Brussels, Musées royaux d’Art et d’Histoire, Musée du Cinquantenaire, no. 1474. This review forms part of the first issue of the Research Group Newsletter, ShelfMarks. An e-version of this issue, with ShelfTags for ShelfMarks and some extra images, appears here. The full issue appears here: ShelfMarks, Volume 1, Number 1 (PDF). 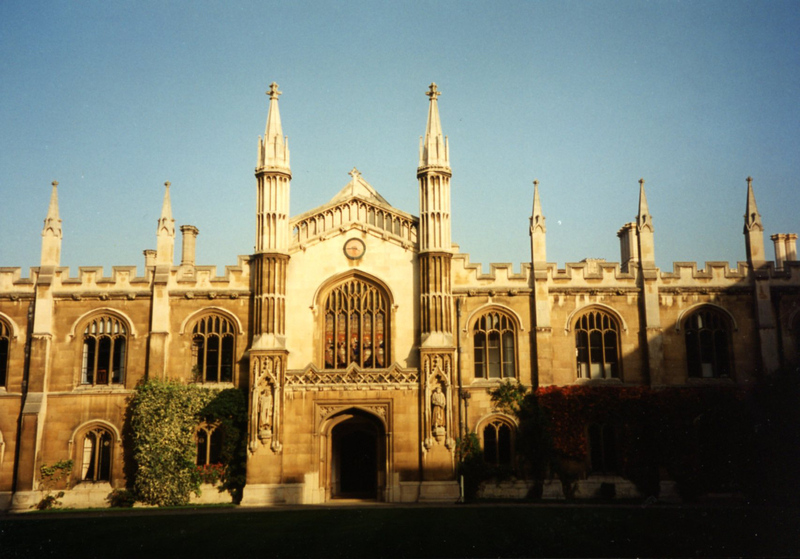 Since 1990, the Research Group on Manuscript Evidence has held Seminars, Workshops, and Symposia (organized or co-organized by Mildred Budny) variously at the Parker Library of Corpus Christi College, Cambridge, and at other centers in England, Japan, and the United States. 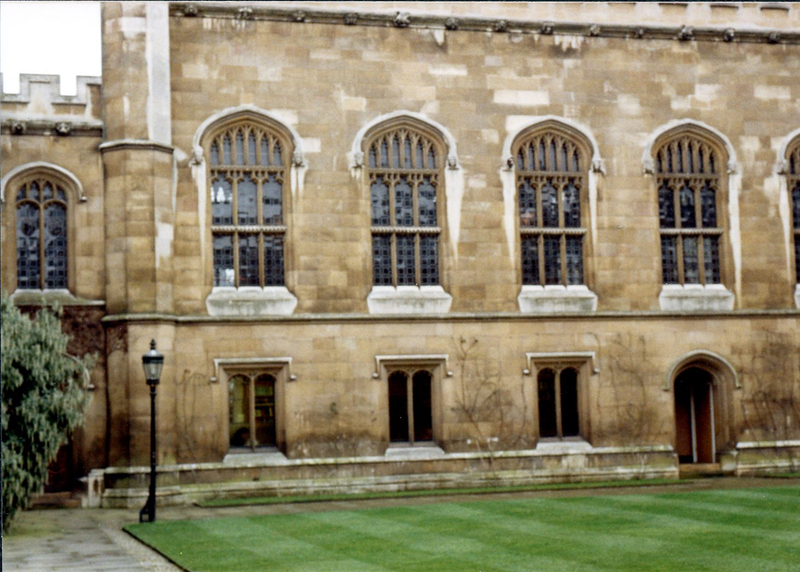 In England, many of these sessions belonged to the series of Research Group Seminars on “The Evidence of Manuscripts.” At libraries, the sessions have taken place over relevant manuscripts in the collection, supplemented by photographs. Elsewhere, the sessions have usually been accompanied by displays or exhibitions of photographs (mostly by Mildred Budny).